France's Finance Minister, Bruno Le Maire, says his country attempts to defy one-sided measures of world’s ‘trade policeman’, i.e. Washingtonin, against the world, especially against the Iranian people. 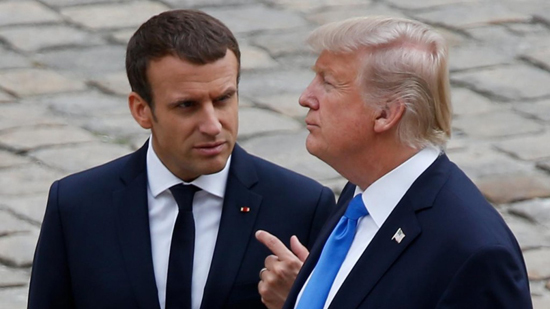 Given Washington's actions in the world under the name of ‘trade policeman’ and continued US' sanctions against the Iranian people, France is in pursuit of flouting Washington's actions and increasing the international role of euro in the world, Financial Times quoted Le Maire as saying in Brussels. Le Maire said that Paris plans to create a special trading channel in order to maintain its trade relations with Iran, which is part of the pressure on Europe to provide 'economic sovereignty' with the goals of making the euro as powerful as the dollar. He added that the spat over the Iran sanctions showed the need for the EU to “affirm our independence”.